Known as the ‘King of Instruments’, the organ delivers a complex and powerful sound. Though rarely seen or heard during symphony concerts, the Memorial Chapel’s Casavant Opus 1230 is always present. Discover 7 reasons this is a beloved Redlands’ gem. Known as the ‘King of Instruments’, the organ delivers a complex and powerful sound. Though rarely seen or heard during symphony concerts, the Memorial Chapel’s Casavant Opus 1230 is always present. Its 4,266 pipes remain hidden behind the grills that cover the openings of two large chambers on either side of the stage. When revealed, the pipes range in size from the size of a pencil to a staggering 32-feet. Made of wood and metal, the material determines each pipes timbre (or tone). 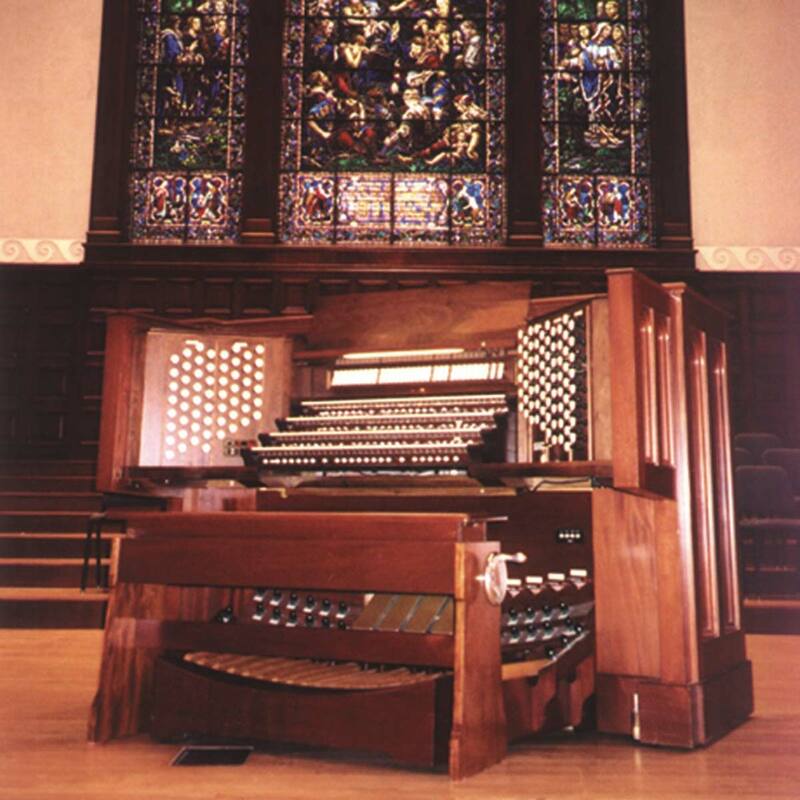 “Opus 1230” indicates that the Memorial Chapel’s organ was the 1,230th instrument built by Casavant Frères, a company in Saint-Hyacinthe, Quebec, Canada, a suburb of Montreal. This is one of the earlier models. Casavant Frères has created nearly 4000 organs. The Casavant Opus 1230 was installed in 1927, the same year the Ford Model A was revealed and work on Mount Rushmore began. In 2003, the organ’s internal workings were fully restored. Each pipe was cleaned and returned to its original condition or replaced. (The organ’s console was not restored at this time. It had been replaced, for the second time, in 1992.) Additional maintenance has been completed in subsequent years to ensure its continued performance quality. Over the years, many famous musicians have performed on the organ, including E. Power Biggs, Virgil Fox, and Marcel Dupré, who gave the inaugural performance in 1928 and was perhaps the greatest organist of the last 200 years. The organ console has five keyboards: four “manuals” (for the hands) and a pedalboard (played by the feet). The Memorial Chapel's organ has five keyboards: four manuals and a pedalboard. The organ has 73 ranks. (A “rank” is a set of pipes the produce the same type of sound.) Its most recent rank was installed in 2014. Many of the Wurlitzer organs seen in early movies had gimmicks, like drums and cymbals. The Memorial Chapel organ doesn’t have any of these. Built in the French symphonic style, it delivers clean, pure sounds. The organ’s pipes are divided into four divisions: Great, Swell, Choir, and Solo. Each is a group of ranks that produces similar types of sounds. The great division contains the organ’s largest pipes. It is located to the right of the stage, taking up this entire chamber. The other three divisions are housed to the left of the stage within their own compartments. Hear the organ on May 19! Let's Talk About Our First Concert of the New Season! Day One as Your New Music Director!